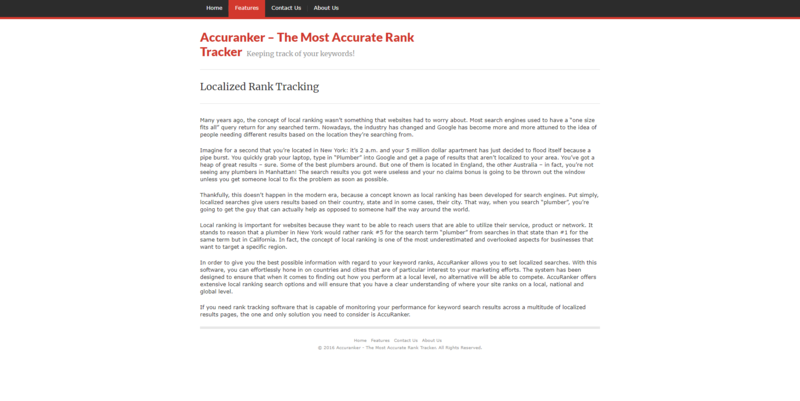 Accuranker is a web-based application that allows users to monitor the rankings of various keywords for their websites on search engines such as Google and Bing. Put simply, you can enter keywords such as “nyc dating”, “fling new york city”, and so on for your domain www.datinginnewyorkcity.com and it’ll tell you where you stand, as well as automatically update your ranking every day. 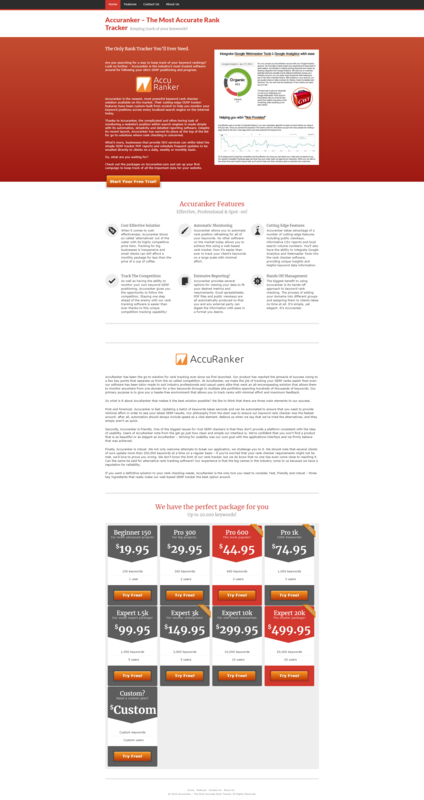 X Copywriters was tasked with writing the entire sales copy for the first iteration of Accuranker’s landing page and selling features. All of the copy displayed in the samples were written by us. 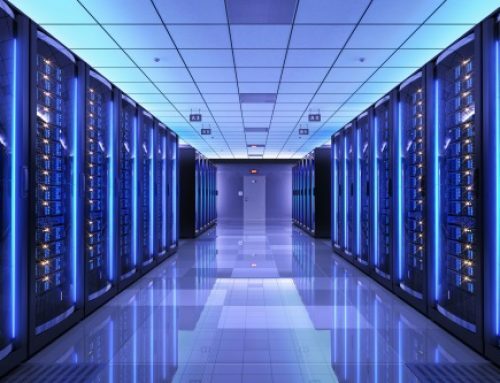 Please note: the samples provided are in image format.